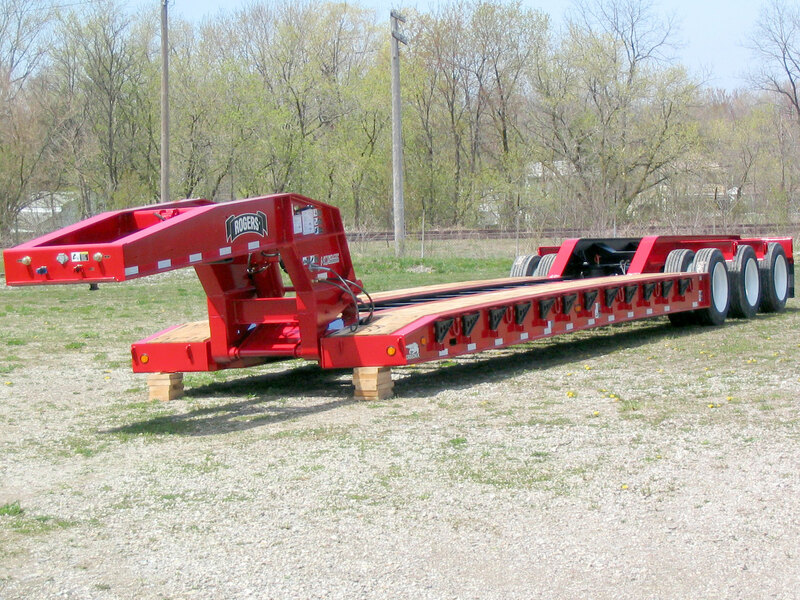 CY50 is the ROGERS® Century 50-ton capacity detachable gooseneck lowbed trailer. It features the exclusive "Croucher"® tapered front end with concealed beam hooks for unobstructed loading. Powerful low-pressure hydraulic cylinders in the gooseneck can lift the load on any terrain. Excavators ride lower with its stick resting in the "boom trough." Oak decking to the wheels adds another foot to the length of carry space. A unitized frame with heavy-duty full width cross members on 24" centers and 16" deep main beams will carry the load with less overall trailer weight. The rear channel is notched to the same height as the cross members to be part of the "boom trough."